Viva Pinata is a customizable, social and spontaneous game that invites players of all ages and skills to explore an immersive world where they are challenged to create and maintain a living garden ecosystem that grows in real time. Beginning with a few basic tools, players build and take control of their environment to attract and host more than 60 species of wild pinata, utilizing hundreds of customizable elements to create their very own distinctively unique thriving paradise. 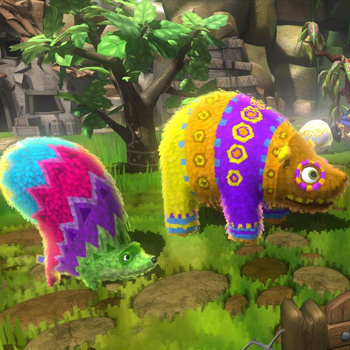 Viva Pinata gameplay continues to evolve with new content available via the Xbox Live service and the ability to play, trade and interact with more than 2 million gamers via the online service.